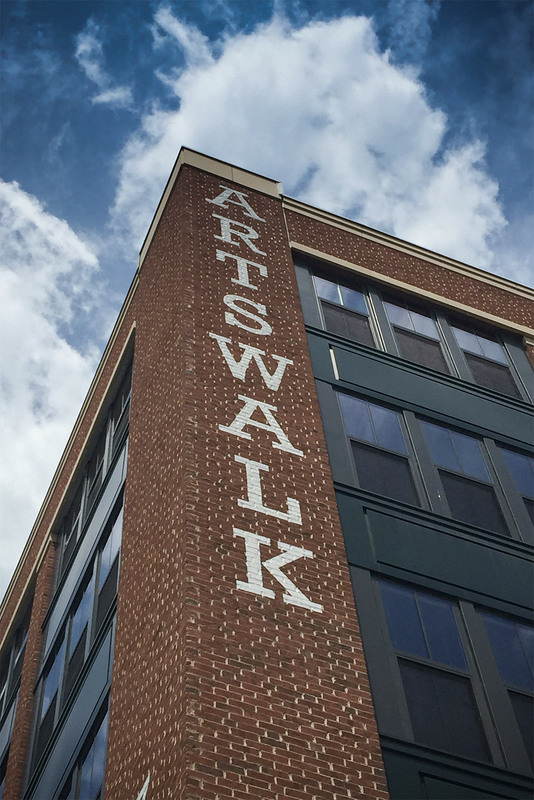 Artswalk is a district of studio spaces and galleries in the Monroe St Market of northeast DC. 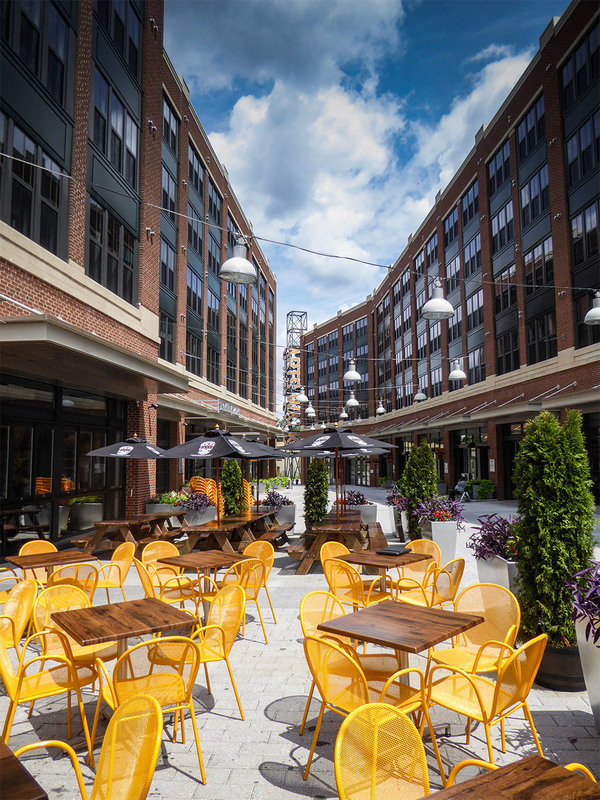 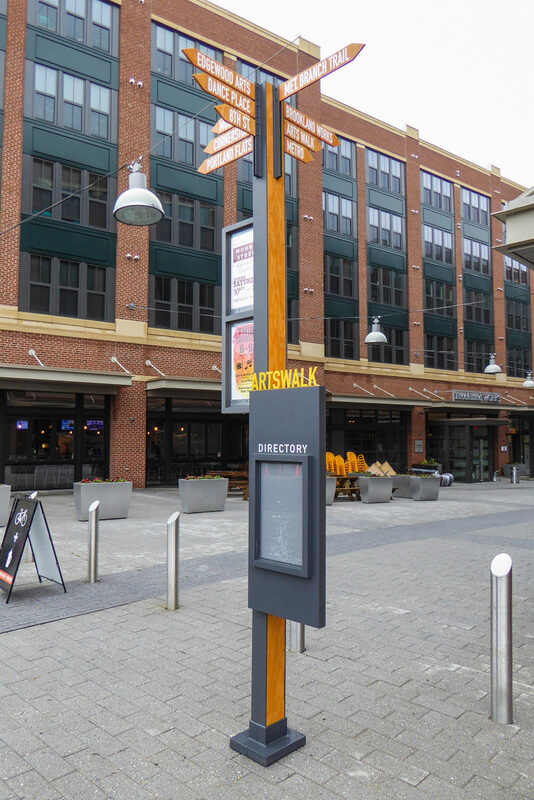 With eclectic dining and shopping in addition to newly finished apartments, Artswalk is hoping to enliven DC with a premiere district for the arts and artists. 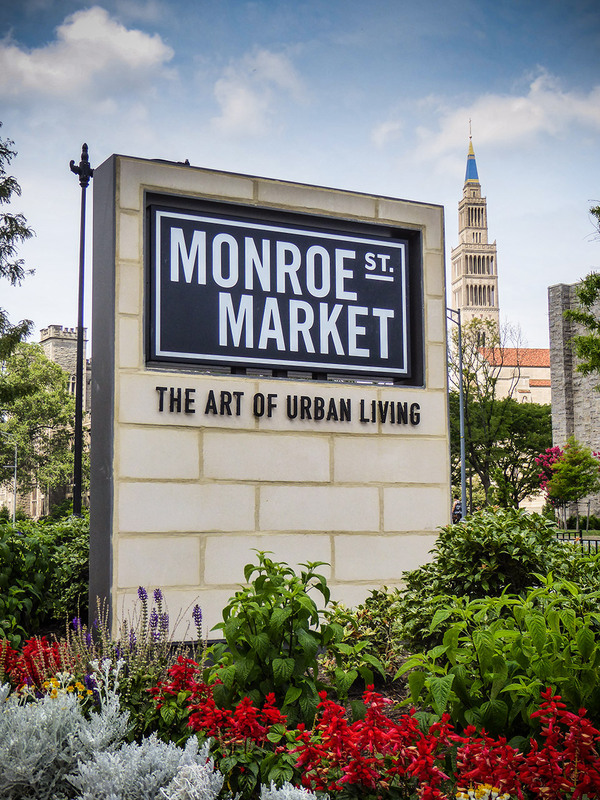 Wanting to draw attention to the area and create a buzz for coming projects, Monroe St Market contracted YDI to create a unique sign specifically for Artswalk that could be seen from afar and get viewers talking. 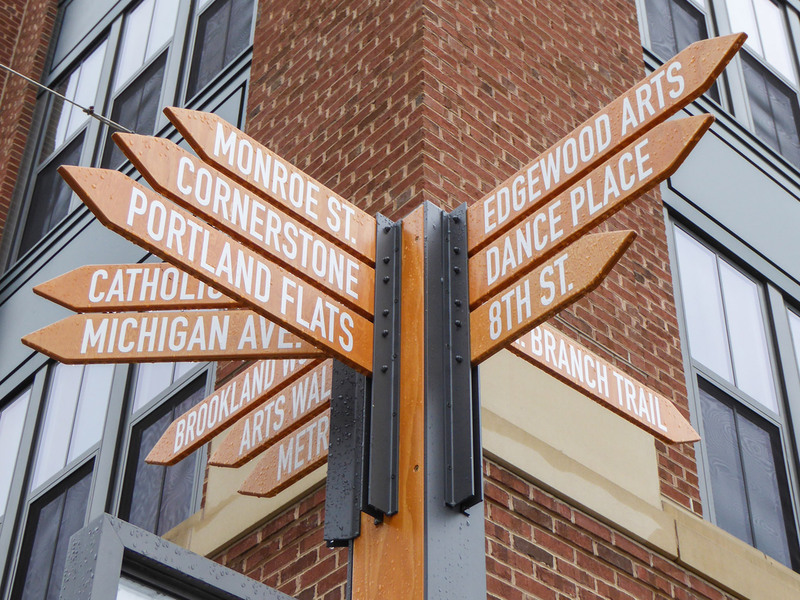 YDI designed a sign that warps the standard pylon sign and created a work of art in its own right. 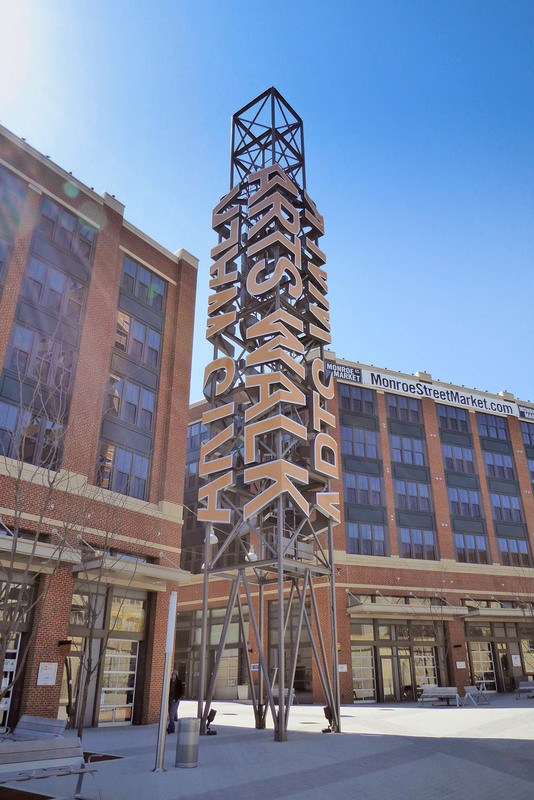 At each corner of the four-sided sign, the letterforms spelling out Artswalk wrap around to create a distorted tower that changes with every angle you look at it. 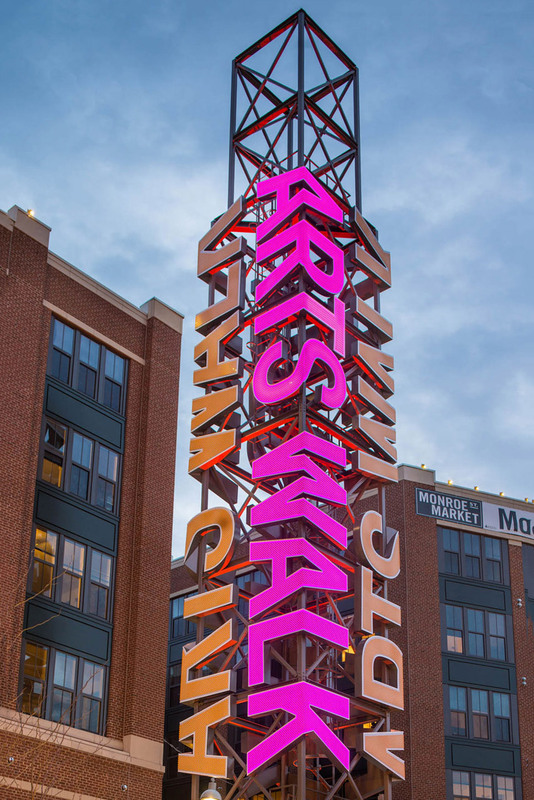 LEDs were installed within the letters to change color at night, so to be visible from a distance. 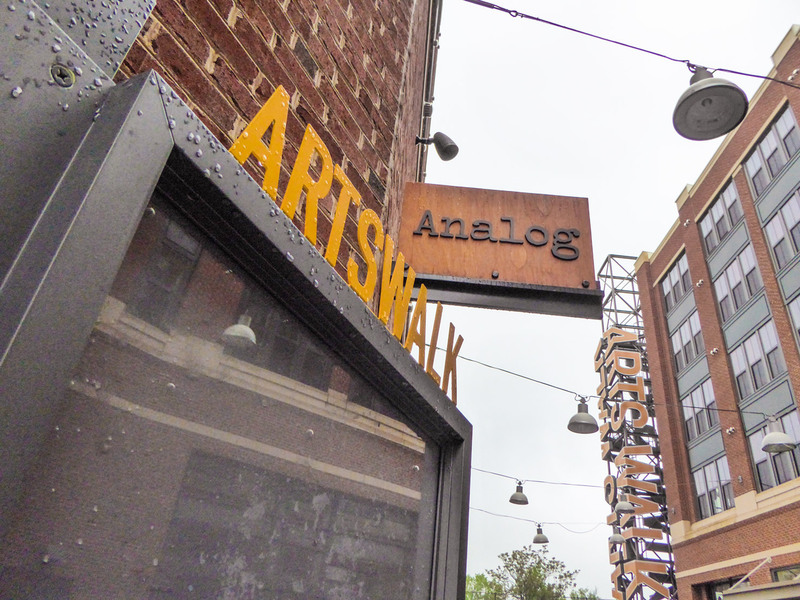 In addition, tenant signage around the Artswalk district were created with natural materials that bring a consistent look and feel to the project.